Consensus 2018 has come to an end. Instead of feeling upset, now is the time to reflect on all the news that various organizations announced. So, without further adieu, here are some Consensus 2018 highlights. Regulation and the crypto industry go hand in hand. Therefore, it wasn’t a surprise that crypto regulation was discussed at Consensus 2018 and NYC Blockchain Week. During a panel, it was announced that while United States regulators are continuing to look into virtual currencies and ICO’s, there is no plan (as of right now) to suppress the sector. Further, the government representatives that took to the stage at Consensus 2018 stated that there is no plan to hinder innovation in the field. On Monday, Ripple announced the Xpring project. It is an initiative with a goal of attracting entrepreneurs and expanding the use of XRP. On Tuesday, Ripple hosted its XRP Community Night, which was a success all around. Snoop Dogg performed, while the Ripple community danced and sang the night away. Announcements that were runners-up were Stefan Thomas leaving Ripple to start Coil, and various companies piloting xCurrent. Bitcoin (BTC) has struggled on the markets this week, particularly yesterday when it dropped below $8,500, but that didn’t stop Jack Dorsey, Twitter, and Square CEO, from speaking about Bitcoin on Wednesday at Consensus 2018 in a positive light.
.@jack‘s comments at #Consensus2018 seem to indicate Square is very much interested in making #bitcoin more usable for everyone and bring it to the masses. In fact, the 41-year-old said that when the time comes for the Internet to have a native currency, and that time will come, it should be Bitcoin (BTC). 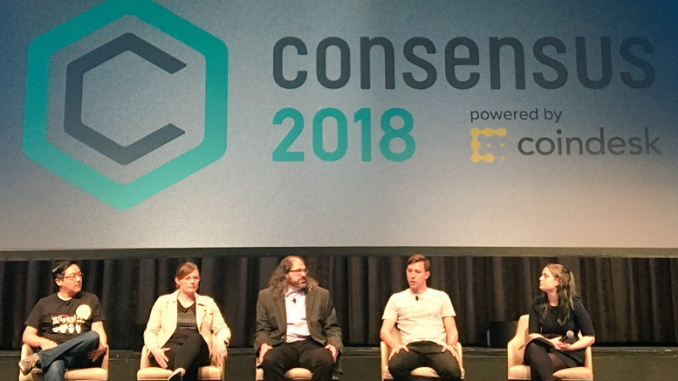 There were other announcements made at Consensus 2018, but we thought the ones mentioned above were the priority. Either way, regardless of what started trending from Consensus 2018, the crypto community had a lovely week making connections with other crypto and blockchain enthusiasts around the globe.